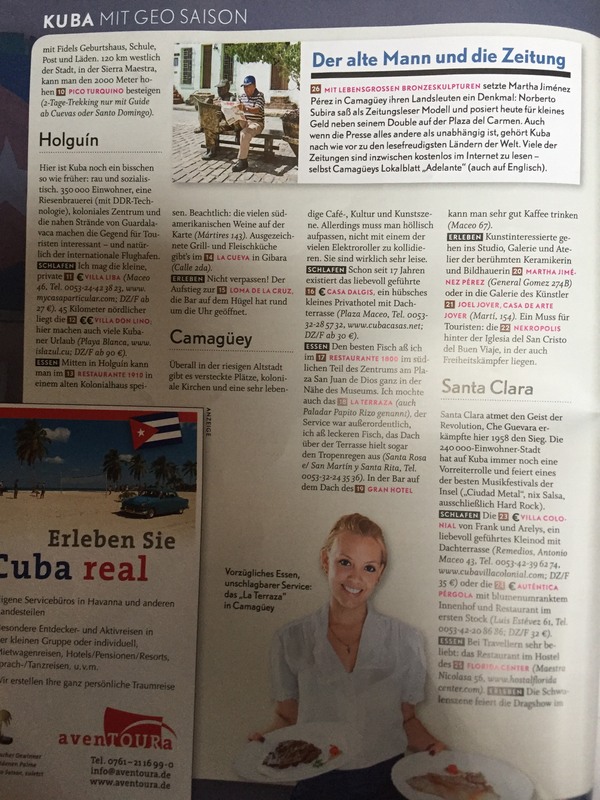 GeoSaison, Germany’s leading quality travel magazine, featured Cuba as their January 2017 cover story. 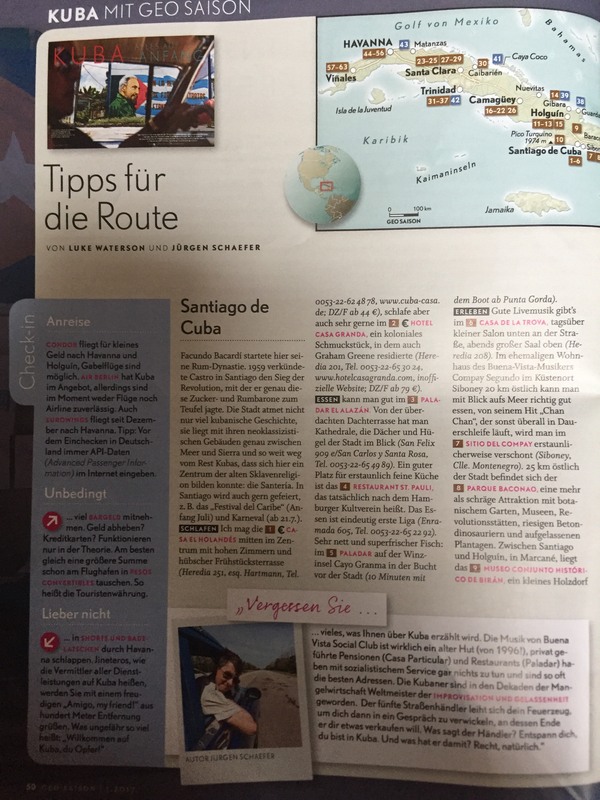 For those of you lucky enough to speak German, please take a read of this fascinating feature, co-written by me, which takes you far, far beyond the cliches for an in-depth look at this ever-changing Caribbean nation. 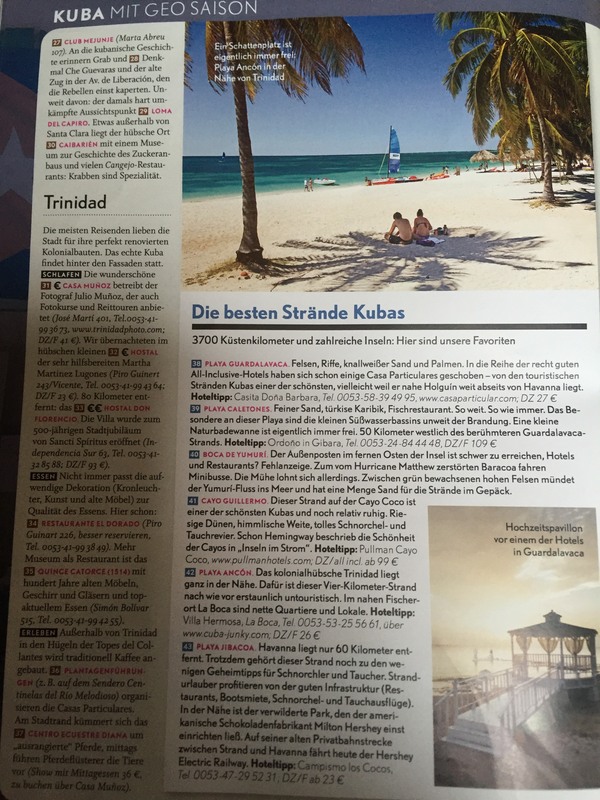 It includes a detailed look at the best off-piste beaches and the most interesting stop-offs in each of the main regions of the country. You can read the full feature through purchasing the January edition of the magazine.